After a string of in-flight disturbances and accusations from a pilot’s union of poor safety standards, the Federal Aviation Administration has stepped up its scrutiny of budget carrier Allegiant Airlines. The Wall Street Journal reports that the FAA’s increasingly watchful eye regarding the Las Vegas-based airline comes after an incident last week in which a flight carrying 150 passengers declared an emergency in order to land at a closed airport because it was running dangerously low on fuel. To make matters worse, the airline had been informed that the airport was closed to passenger jets prior to takeoff and the company’s executives – Greg Baden, its vice president of operations, and Michael Wuerger, director of flight safety – were the ones manning the aircraft. The July 23 incident involved a plane flying from Las Vegas to the Fargo, ND, airport, which was closed for the U.S. Navy’s Blue Angels aerobatic jets to practice. The airline says the flight was allowed to take off because dispatchers believed the FAA notice meant the airport was still open for passenger airlines. When the flight landed, it had just 42 minutes of fuel remaining, the WSJ reports. Regulations require aircraft to have 45 minutes more fuel than what its scheduled route should require. The FAA says it is gathering additional information regarding the emergency landing. The agency’s increased scrutiny comes as the airline has been under fire from pilots for sub-par safety standards. While the FAA and airlines don’t make the number of maintenance-related issues public, the pilot’s union – which had intended to strike earlier this summer – estimates that at least 65 incidents including aborted takeoffs and diversions occurred between September 2014 and March 2015. Another 28 incidents reportedly occurred between June 8 and July 6. Other recent issues included a plane diverting because of a wasp’s nest on a sensor and passengers using emergency exits to climb on a jet’s wing after landing when a fuel leak sent fumes into the cabin. 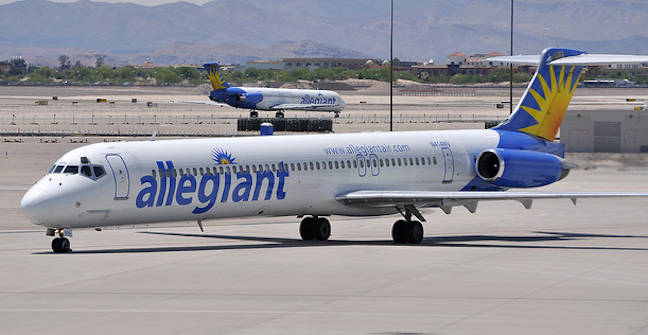 A spokesperson for Allegiant said that the airline generally has a high number of diversions – although, he didn’t specify a number – because it doesn’t have mechanics in most cities it services. “That presents a unique challenge when it comes to customer service, but if anything, it’s an example of our focus on safety,” he said. Safety experts tell the WSJ that it makes sense federal regulators would train a more watchful eye on the airline.